1. The main purpose of the blog, for me, is to take time to reflect on experiences we have had and consolidate the things I’ve learned. I already did that. 2. I refuse to spend more of my vacation time writing about it. 3. We are down to one working keyboard, so I won’t continue to monopolise it. We are presently in Iceland, touring around in a small campervan with my mom. The weather has been cool and quite changeable in terms of sun and rain. The icebergs that calved off of Jökulsárlón Glacier look surreal and blue in the glacial outflow. I have chosen a dozen photos to illustrate some highlights from the journey. 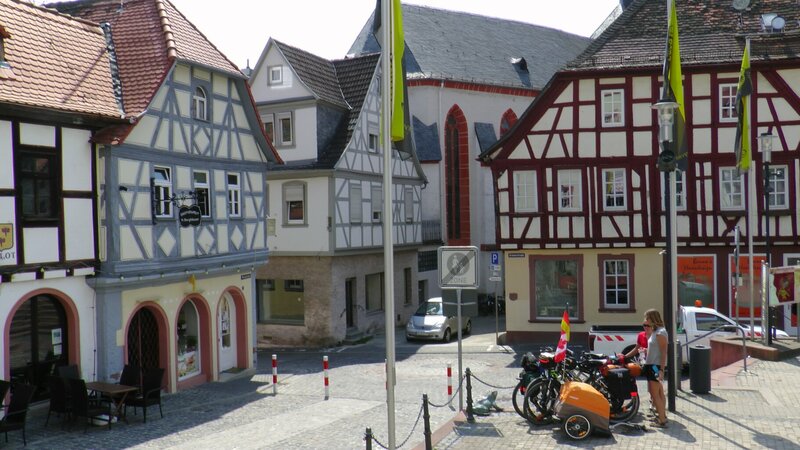 Oppenheim is a quaint city celebrating its 1250th anniversary this year! It boasts a complex labyrinth of underground cellars that used to be for storing trade goods — especially the wine for which the region is famous. 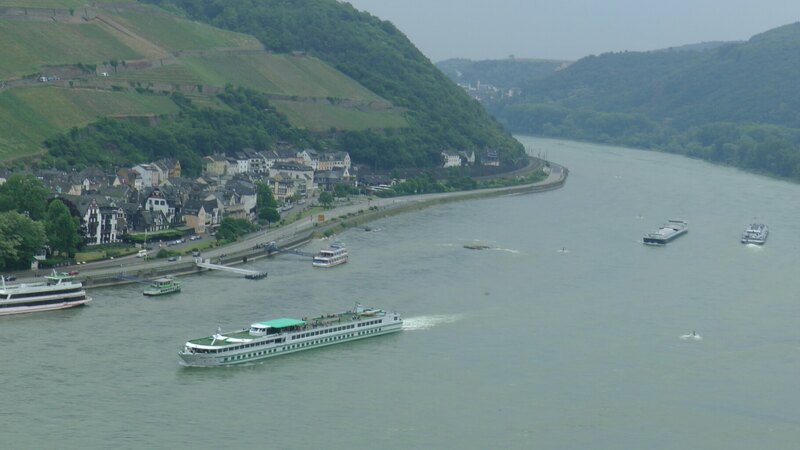 The Rhine was historically and still is a busy transportation corridor! It’s headwaters are in the Swiss Alps and it flows all the way to Rotterdam. There is a constant stream of boats going in both directions (both freight and passenger), and there are train tracks and roads on both banks. 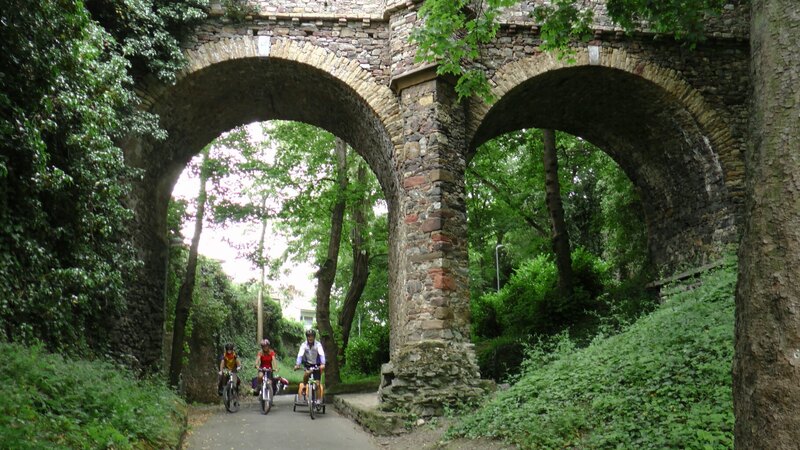 The cycle path is lovely and well-used. 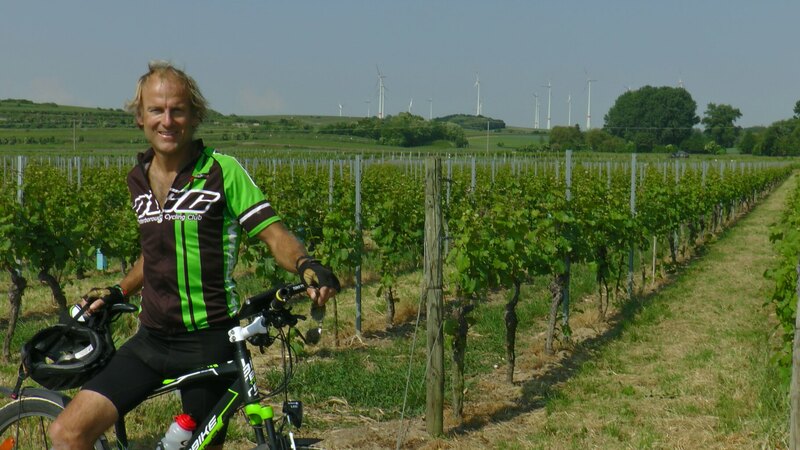 Here is Cam in front of one of the many vineyards we saw — and notice the wind turbines in the background. We had no problem finding waterfront lunch spots. 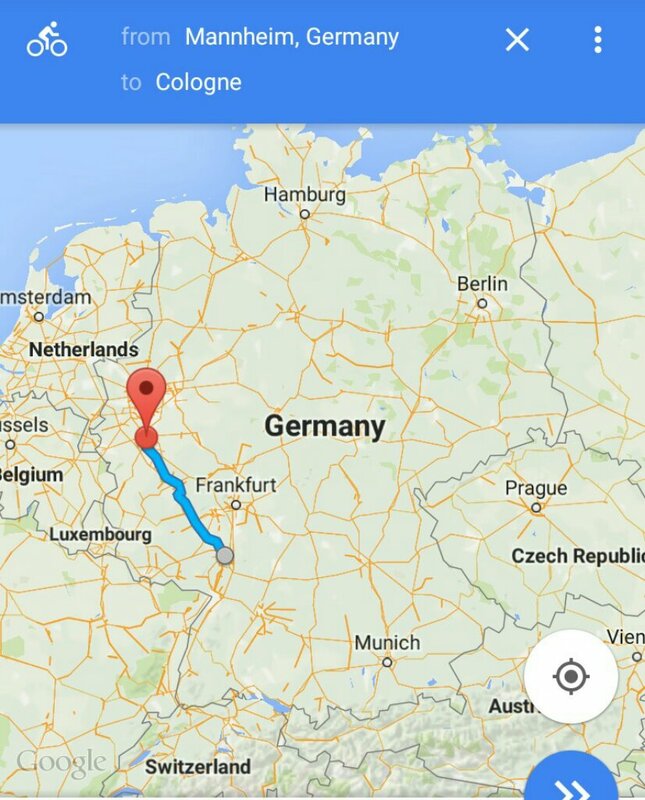 One industry on the bank of the Rhine is BASF. 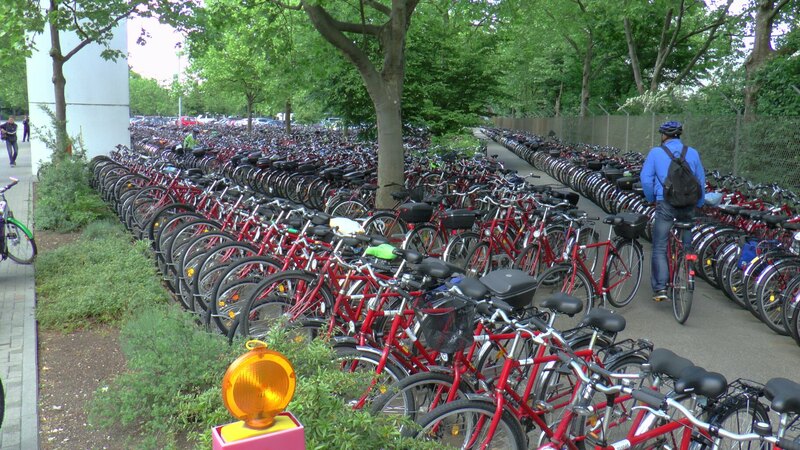 I don’t know exactly what they produce, but they have a huge campus in Mainz where every worker is issued a bicycle! 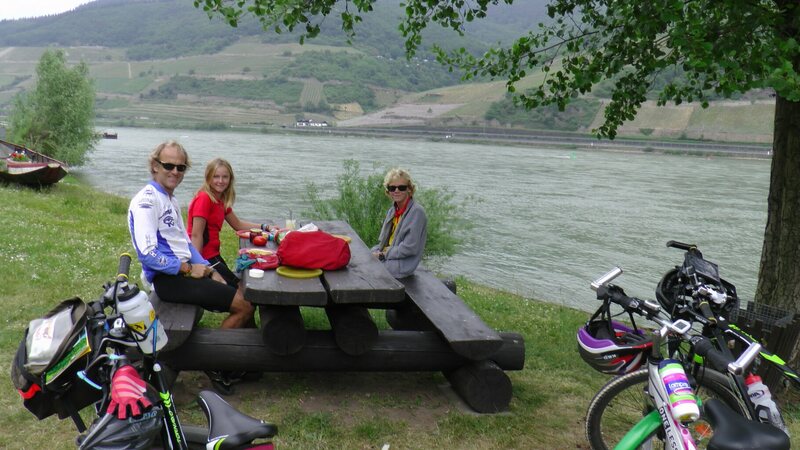 Now I know that “Bingen on the Rhine” is a real (and romantic) place. Kaia, Jake, and I remember laughing about its name when we read Anne of Green Gables. Anne described how Gilbert Blythe gave a wonderful recitation of the poem “Bingen on the Rhine” at a community event. We thought it sounded hilarious! The arches in the photo are part of a large castle/tower complex. 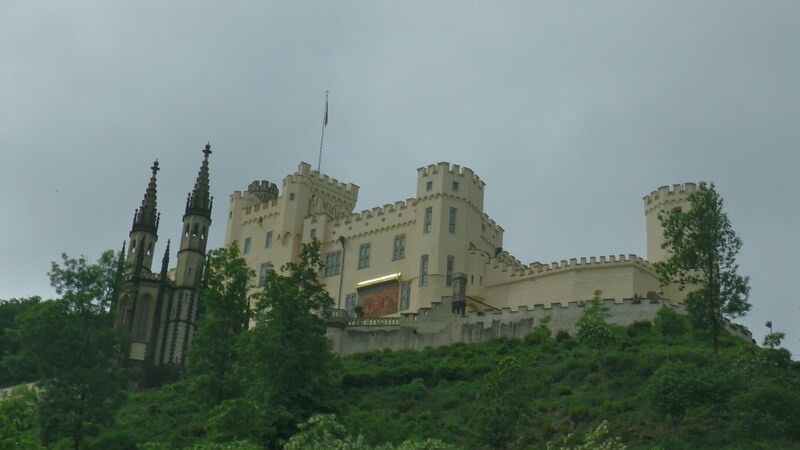 My favourite castle along the Rhine was Burg Rheinstein. It is compact and was nicely restored in the 1800’s by Prince Friedrich of Prussia who used it as a summer residence. 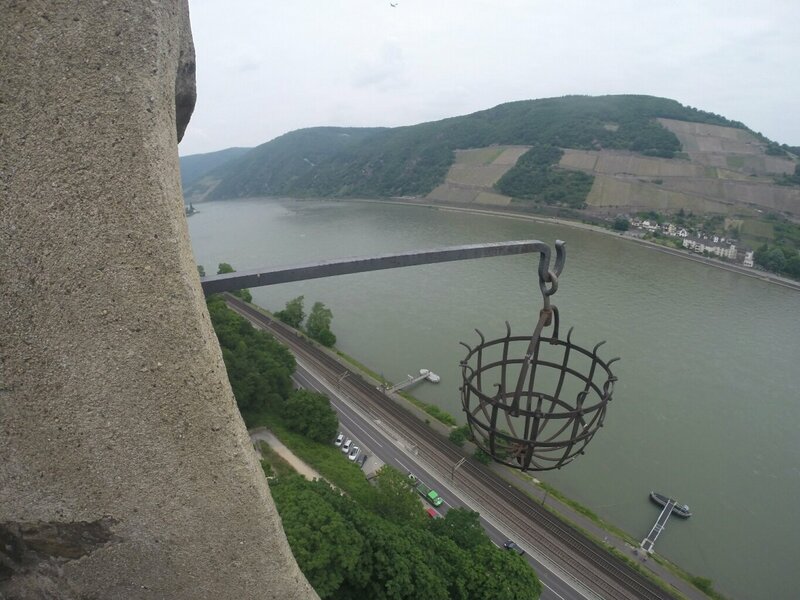 The photo above is of the basket that was used in the Middle Ages to punish travelers who tried to avoid paying the toll. I’m hoping Prince Friedrich used it for a nice potted plant. 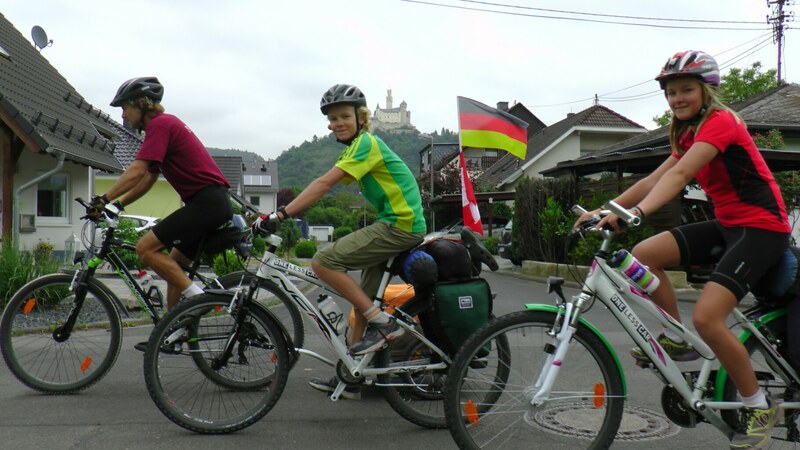 Here we are cycling towards Marksburg Castle (on the hill in background). 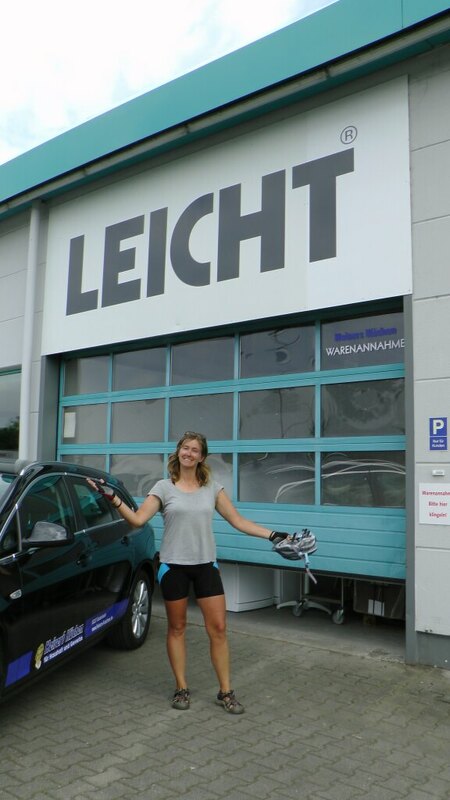 Our record for longest cycling day was 85km. Go team! Magnificent Marksburg Castle is said to be the best preserved along the Rhine. We took a tour to see many of its authentic features. 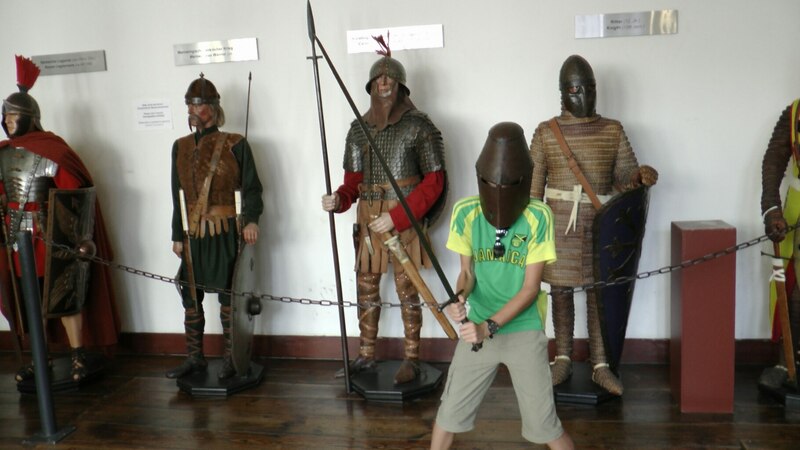 Jake liked the display of armour throughout the ages. Some of it was pretty scary looking. 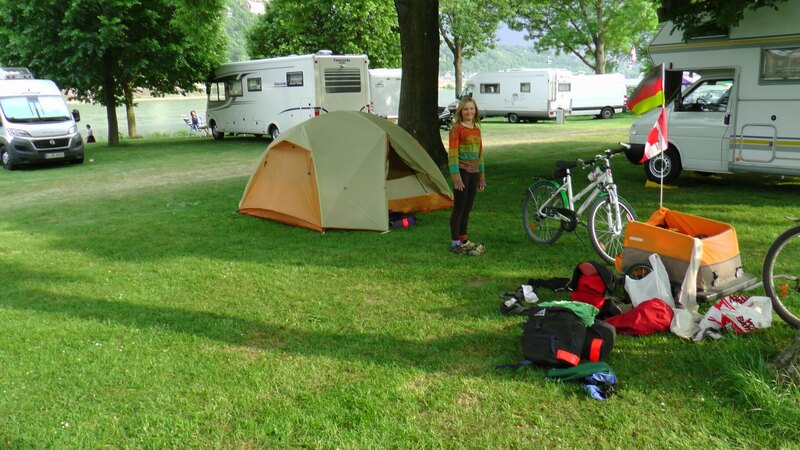 We often found ourselves camping among the motorhomes and trailers. This was our last night, in Koblenz. The sweet end to our journey down the Rhine was meeting up with Falko, (whom Cam had met in Nepal) and going to the Lindt chocolate factory in Köln. 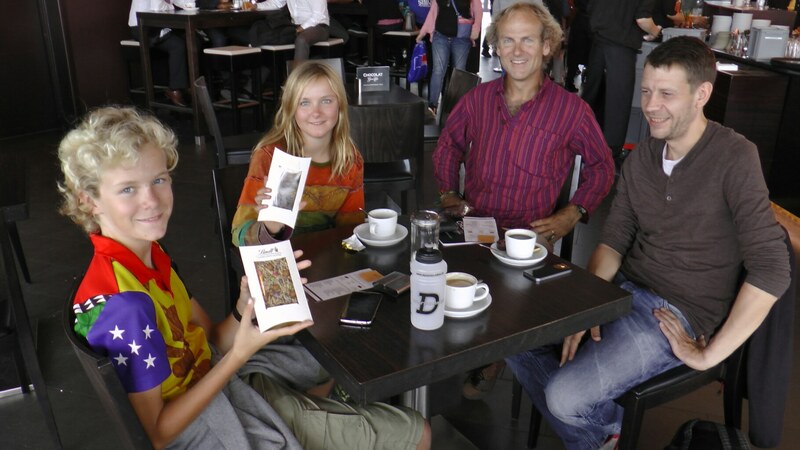 The kids are holding their custom chocolate bars that they got to design. Falko also took us to the impressive Gothic Cathedral (which took over 600 years to complete!) and out for lunch at a classic pub that served great German sausages and beer. The beer came in small 0.2L glasses (as opposed to the 1L steins that are so common in Bavaria). But until you cover your glass with a coaster, the waiter keeps bringing more. No matter how you cut it, the Germans love their beer! I have met my self-imposed quota of 12 photos… well, let’s make it a baker’s dozen.